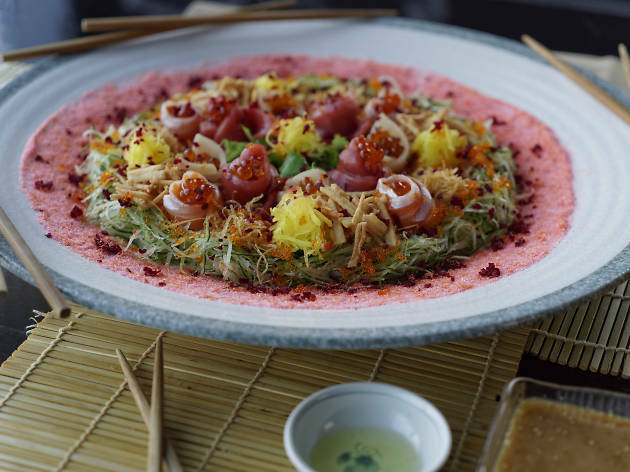 Celebrate Chinese New Year the Kinki way with its version of yu sheng. 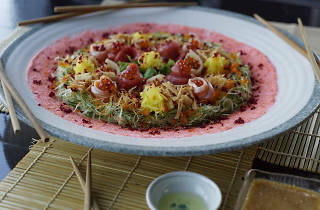 Salmon, tuna and swordfish topped with a house Goma dressing makes for a salad toss that doesn't skimp on the sashimi. Just how it should be. For more than ten diners, make a reservation three days in advance.